La référence en termes de fanzines se nomme Tight But Loose . L'on peut y trouver les moindres informations les plus pointues concernant le groupe . Y a-t'il des abonnés à ce mag parmi les membres du forum qui pourraient apporter quelques infos sur le contenu général de ce fanzine? Pour ma part , je ne le suis pas . Ronan , un forumeur assidu , l'est sans doute . Le numéro d'avril 2009 est dispo . c'est trés complet en effet et dans tous les domaines. Chroniques de concerts, interviews, photos en fait c'est un peu comme "Concert File"
Pourrais-tu mettre quelques articles supposés intéressants sur le LZF ? . Merci d'avance , Ronan . il est arrivé !!! à commander impérativement !!! Le numéro 35 est sorti !!!!!!!!!! 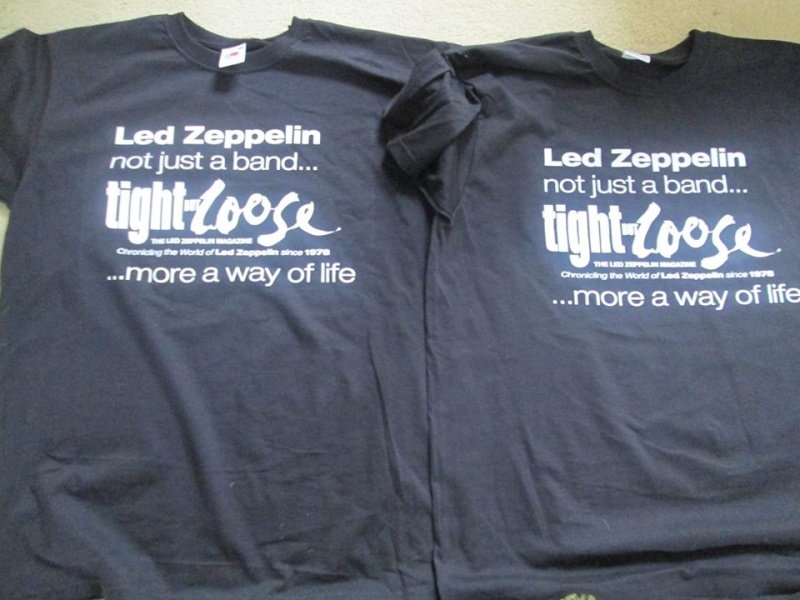 Homes required for very cool looking Led Zep TBL T-shirts -apply here now! La seconde édition beaucoup plus complète du bouquin de Dave Lewis consacrée au festival de Knebworth sortira en fin d'année. Dave Lewis projette d'écrire un ouvrage sur les concerts d'Earl's Court 1975. 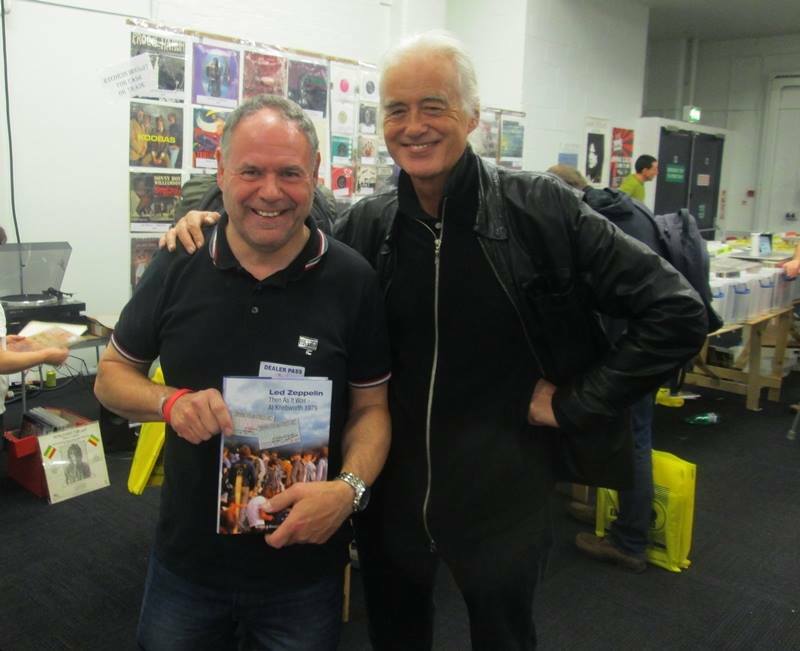 Hier à Londres, Dave Lewis a rencontré Joe Jammer qui fut roadie et guitar tech du groupe en 1969; A noter qu'ensuite il a formé son propre groupe qui s'est produit...................au festival de Bath. In London yesterday to interview Joe Jammer who worked with Zep in 1969 as a roadie and guitar tech and went on to form his own band. 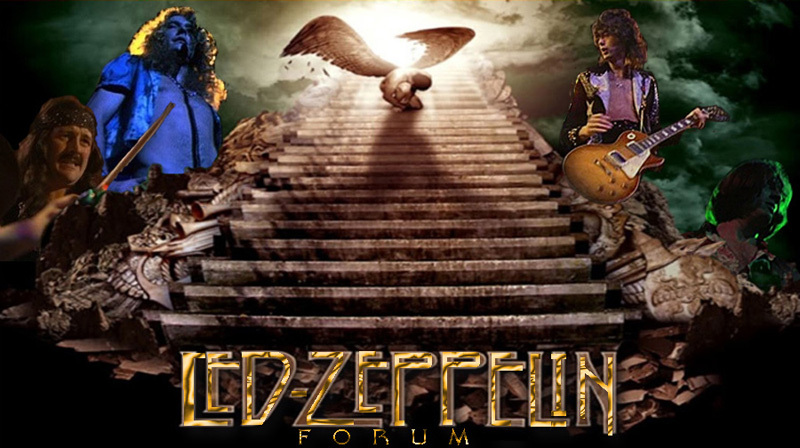 He was fantastic company – ‘’Being close to Led Zeppelin in 1969 was like watching a freight train on steroids’’ was one of many great quotes of his – full interview in the next TBL. Here’s Joe with Gary and the TBL editor. Joe is holding a pic of the Joe Jammer Band on stage at the 1970 Bath Festival. 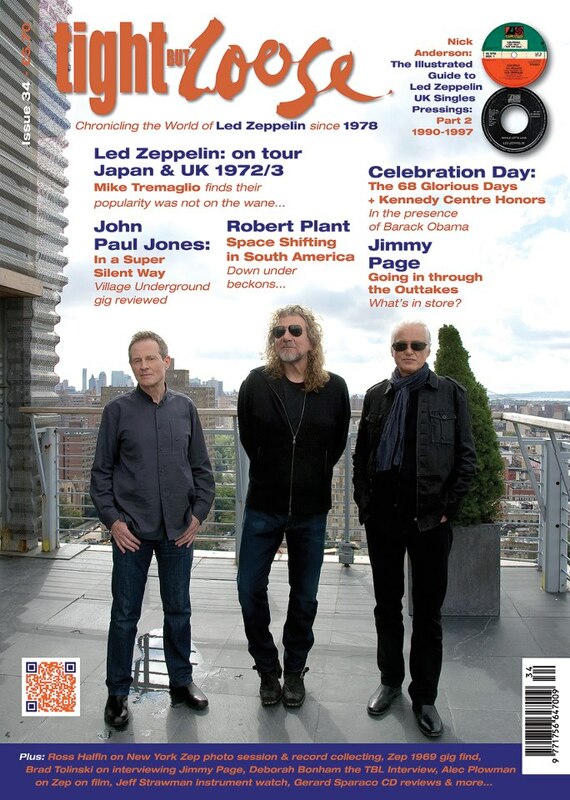 I am pleased to announce that the forthcoming issue of the TBL magazine due to ship early November, will include an exclusive Jimmy Page interview conducted with me last week, in which he talks about the Led Zeppelin IV and Houses Of The Holy reissues, the experimental music he is due to release via his website, his record collecting and desire to be out and seen to be playing again…. Jimmy has long since promised he would provide an interview for TBL and he was as good as his word. I recorded this with Jimmy last Thursday afternoon during a day of media interviews he gave at the Gore Hotel Kensington. 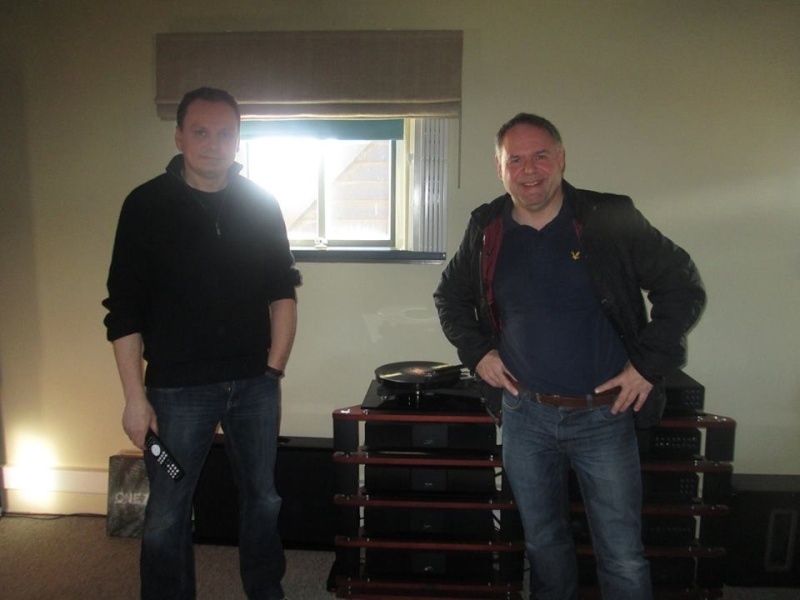 My allocated time was limited and the interview was centred mainly around the forthcoming reissues. There was of course a crop of questions I wanted to ask but time did run out all too soon! Younger then and older now - but neither of us no less fervent for this band that really is a way of life. ‘’Thanks for all your enthusiasm Dave’’ was his parting shot. Suffice to say, this is a major coup for the forthcoming TBL issue and if this isn’t a reason to subscribe - then I don’t know what is! 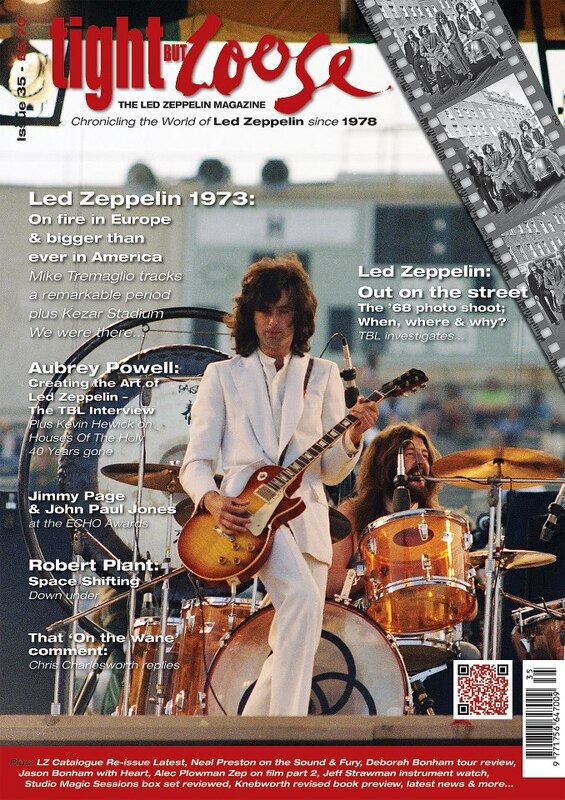 You can read the full contents of this Jimmy Page interview plus a host of other compelling views and features in the forthcoming issue TBL 38 which commences the TBL 2014/15 subscription. As a bonus, every subscriber will receive an exclusive 10 x 8 limited edition print suitable for framing. This is a Jimmy Page shot from Frankfurt on the Over Europe 1980 tour. Don't miss out subscribe now! 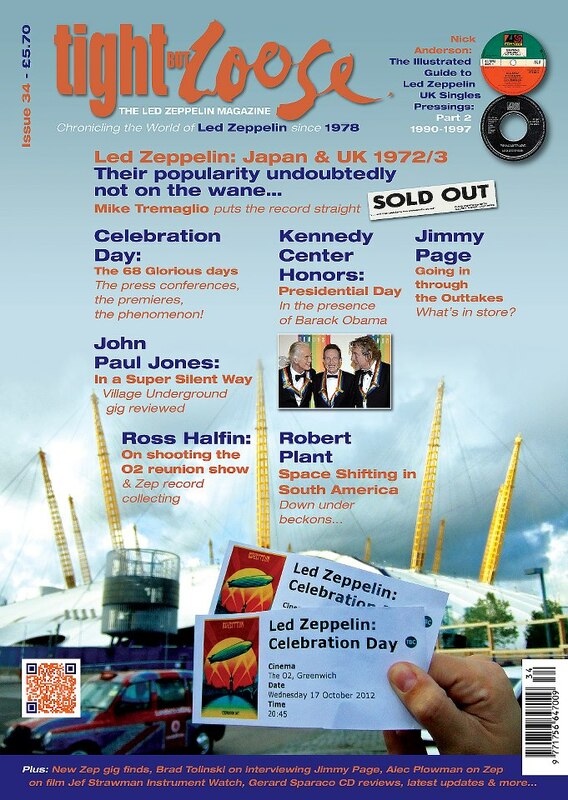 The subscription order link for the 2014/15 TBL magazines is below order – many thanks in advance for all your support. Dave Lewis - October 6th, 2014.